Mirror hours will manifest themselves when the universe wants to send you a sign. At these moments the universe is asking you to be aware of the significance of the mirror hour, reversed mirror hour, or triple mirror hour that it shows you. If you come across the triple mirror hour 04:44 regularly then this is a sign, a personal message that the universe wants to communicate with you. To understand what it wants to tell you, you will first need to interpret the hour in question. To do this you can use numerology or the guardian angels. If it appears repeatedly then the triple mirror hour holds an important message for you at this moment in time. It indicates that you have no need to worry, everything will be just fine. Everything you have done will be met with success. The hour’s repetition shows that you are surrounded by guardian angels who love and support you. This help and love will guide you throughout your life but you’ll have to keep on reading to find out more. Before getting to the heart of the matter you should first of all know that the guardian angel Hariel is the angel of deliverance and belief. He is using the triple mirror hour 04:44 to tell you that he will bring you faith and deliver you from evil while at the same time helping to free you of your bad habits. The guardian angel Hariel wants you to know that he will bring you ambition in your professional life. He will give you the opportunity to discover new ways of doing things and to find new things to help you. Thanks to his divine light you will be able to shine brightly in the fields of science and art. When in connection with the triple hour 04:44, Hariel is a bringer of innocence, purification, and purity. He will help you to remove any masks which may be betraying your innocence and will help you to purify your conscience at the same time. He will clear your mind of anything which is stopping you from seeing or feeling even the most subtle energies in the realm of thought. With him you will have the ability to find harmony through forgiveness. If you are dependent on drugs, tobacco, medicine, or alcohol, etc., then he wants you to know through the triple hour 04:44 that he can deliver you from all these bad habits which are stopping you from seeing reality as it is. He will also free you of any form of paralysis which is stopping you from jumping into action. 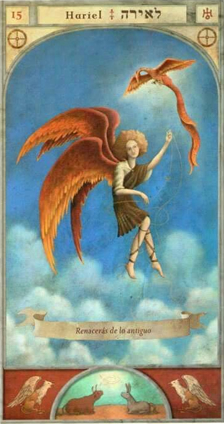 Your guardian angel is your patron and protector and is also indicating that he will give you spiritual feelings to allow you to gain a better understanding of the difference between individuality and personality. He will bring your mind clairvoyance which will bring new energy to your powers of discernment. He will help you to be a better person and is using the triple mirror hour 04:44 to clarify this point. 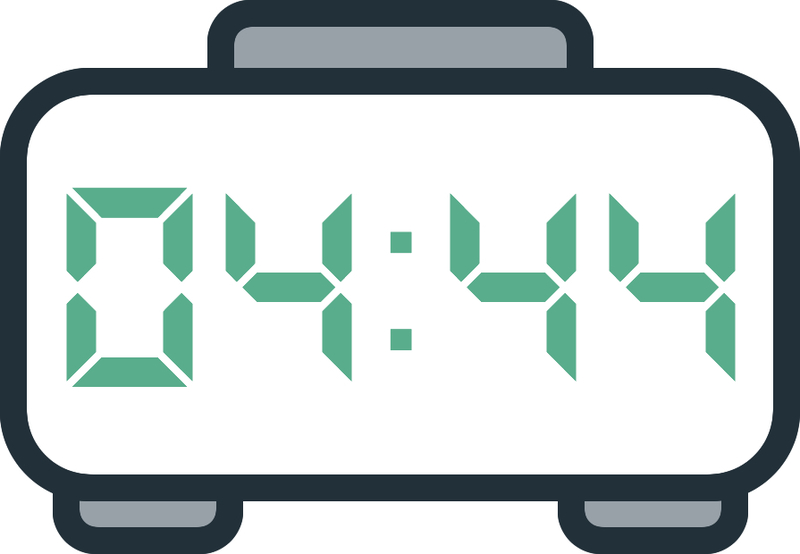 What does 04:44 mean in Numerology? The triple mirror hour 04:44 is related to the angel number 48 which holds its own messages for you to discover. You should first of all be aware that the vibrations of the numerology behind this number are positive ones, but they can also cause unrest if your mind and/or environment are insufficiently balanced so you will need to remain very determined if you want to overcome this. The number 48 tells you that you are going to find happiness in love and will be successful in your relationships with others. Do not be afraid because your guardian angel is guiding you through your thoughts, words, feelings, and visions. What’s more even at this moment he is beside you and showing you signs that will lead you towards fulfillment, success, and happiness. Although it is true that your success will not come straightaway, in numerology the number 48 indicates that you will reach your objectives through time and force of will. At the same time do not make the mistake of taking the easy way out by using trickery, as this will lead you nowhere. Be honest and fair in everything you do and you will soon benefit from the fruits of your labors. 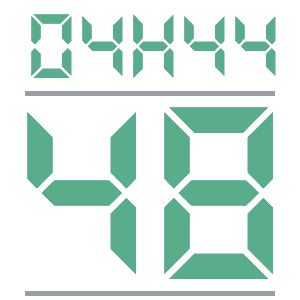 Within the triple mirror hour 04:44 the numerology of the number 48 is also asking you to keep your balance. You are able to be successful in every aspect of your life but you will have to make the effort. Try to be more accommodating and more cautious and also show flexibility as often as possible. These conditions will need to be met if you want to be successful in the goals that you have set for yourself in your life. The angel number 48 asks you to look beyond any illusions and to try to make out the perfection of the divine within yourself, others, and your current situation. When you manage to find divine perfection in your spirit you will see it manifest itself outwardly in your career, your relationships with others, your health, and in all other areas of your life. Any comment on the 04:44 mirror hour? Very accurate in my journey that I’m on right now. I’m always searching for truth and this article gave me depth beyond reasonable doubt. Thank you!